Using TFS Service Preview for SharePoint Team Development with CloudShare! First, open your Internet browser and navigate to the TFS Service portal at http://tfspreview.com/. There you can read the service description and capabilities and start using it by means of the “get started for free” link. In the “Account Creation” page specify a valid server name for your TFS Service Preview and click the “Create Account” button. 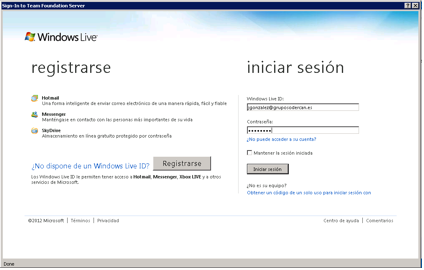 The next step is to type your Windows Live ID credentials to run the creation of your server in the TFS Service Preview. Once the creation process ends, you’ll see your TFS Service Preview portal is ready to use. 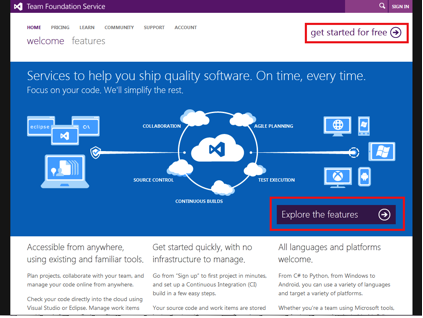 Now it’s time to connect your Visual Studio 2012 RC (VS 2012 RC) with the TFS Service Preview. 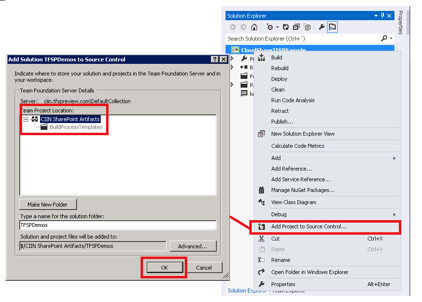 Just create or open a SharePoint 2010 project in VS 2012 RC and use the “Team Explorer” window to connect to your TFS Service preview. You’ll need to add your server to the list of available ones before being able to connect. As you can see in the screenshot below, you need to specify the URL of the server you created in previous steps. Specify the Windows Live ID credentials you used when creating the server. You can also use other Live Id credentials as soon as you have added them to the list of available users in your TFS Service Preview. Once you are connected to your TFS Service Preview, simply select the default team project collection and click the “Connect” button. Once the Team Project has been created, you’ll have access to all the areas relevant to your development approach. For example, if you decide to use SCRUM as your development methodology, you’ll have a Burndown graphic in the Team Project home page and shortcuts to specific items related to this type of development: backlog, board, etc. In VS 2012 RC, you can connect to this Team Project in order to sync your projects. 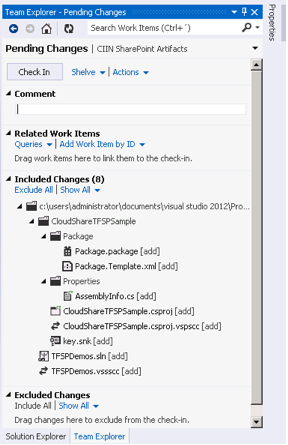 Once you have added your Team Projects in VS 2012 RC, you can start adding to them your SharePoint Development project. Just select the name of the project and press the “Add Project to Source Control…” available at the project contextual menu. Once you have added your project under source control, you can do a first check of all the included components. Your source files are accessible and visible under the “Source” tab of your Team Project area in the TFS Service Preview portal. 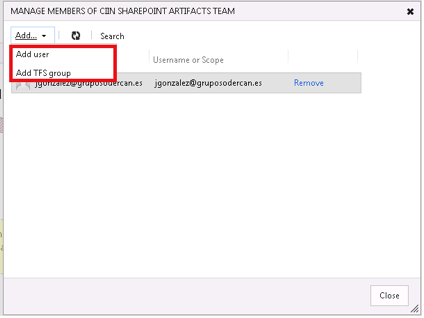 You can then start adding team members to the Team Project and begin real SharePoint Team development with CloudShare using TFS Service Preview. And that’s SharePoint Team Development with CloudShare using TFS Service Preview. Happy CloudSharing!